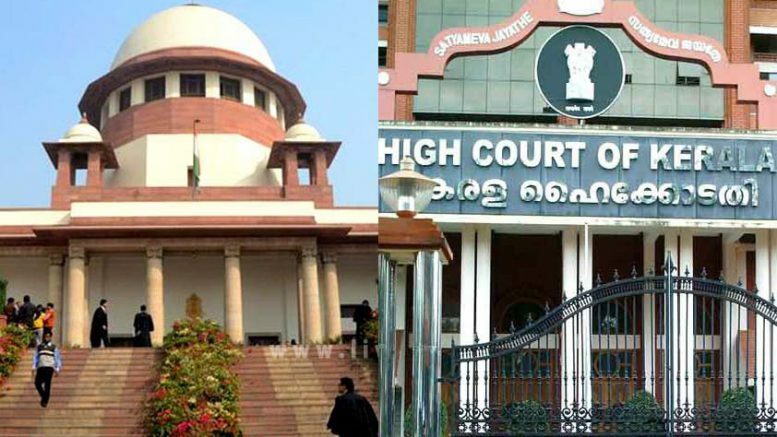 The hearing of the sensational “love jihad” case of Kerala began in the Supreme Court on Friday with judges posing several pointed queries to top lawyers Kapil Sibal and Indira Jaising who appeared for the couple seeking a re-union after separated by her Hindu father. After hinting that it may summon the girl, a 24-year-old medical Akhila, who adopted the name Hadiya after conversion if required, the bench headed by Chief Justice JS Khehar also issued notice to the National Investigation Agency which had probed the case. A Muslim youth, 27-year-old Shafin Jahan, had moved the SC with the help of his lawyer Haris Beeran, challenging Kerala High Court order that quashed his marriage with a Akhila who converted to Islam- on a petition filed by her father. HC had found merit in her father KM Ashokan’s statement that his daughter had been recruited by Islamic State’s mission in Syria and Shafin Jahan was “only a stooge who had been assigned to play the role of going through a marriage ceremony”. Admitting Jahan’s petition, SC bench significantly asked the lawyers representing the girl’s father to produce within two weeks all materials they had relied on to claim that his daughter had been a victim of love jihad and HC was right in quashing the marriage. This is vital as otherwise it will be difficult to quash a consenting marriage between two educated adults who are mentally fit. “These are very serious facts. We need to examine them”, the bench said. The judges posed some pointed questions to the lawyers who represented the couple like why the girl was giving incoherent answers to the HC judge, Why she had three names, did not she know the boy before the marriage, did not the boy have criminal antecedents etc. But Sibal and Jaising categorically said “there is nothing incriminating on record” and the SC may summon it. The father’s lawyer Madhvi Divan argued that there are sufficient records that she was under the influence of a radical organisation for the conversion of religion. Kerala HC bench of Justice K Surendra Mohan and Justice Abraham Mathew, noting that “national interest is at stake”, on May 25 ordered Kerala’s director general of police (DGP) to conduct “comprehensive” investigation into cases of “love jihad” and have incidents of forced conversion probed thoroughly. Be the first to comment on "SC seeks NIA’s view on Kerala Hindu girl’s wedding to Muslim man"